Morning everyone, how are you all on this beautiful day?? As you noticed yesterday there was no post, well partly because I was in London!! Going to London is such an effort, it’s like a day out of the office and not to mention you have to plan what you’re going to wear and make sure you look the part. Bleh is how I feel to that, though the meeting was very proactive. As I’m such a nerd with wedding professionals as I only love the ones that I can relate to and ones that offer the same approach as I do with my couples, and nothing was any different with ‘Zankyou’ a worldwide for-nominal wedding cash gift list service and website design service offering couples an easy communicative format where guests can send cash to there account and you can design pretty much anything relating to a wedding website. What I love is wherever you’re based, if it’s Poland or Peru there is something for you, literally they offer their wonderful services WORLD WIDE, that’s something, right?? Anyway enough from me, here’s why I love the amazing Zankyou!! 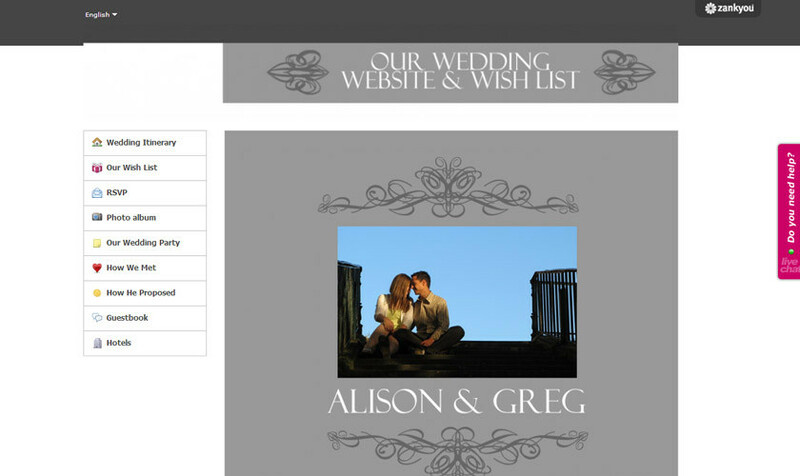 Zankyou is an online cash wedding gift list, where the couple can also create their free personal wedding website. 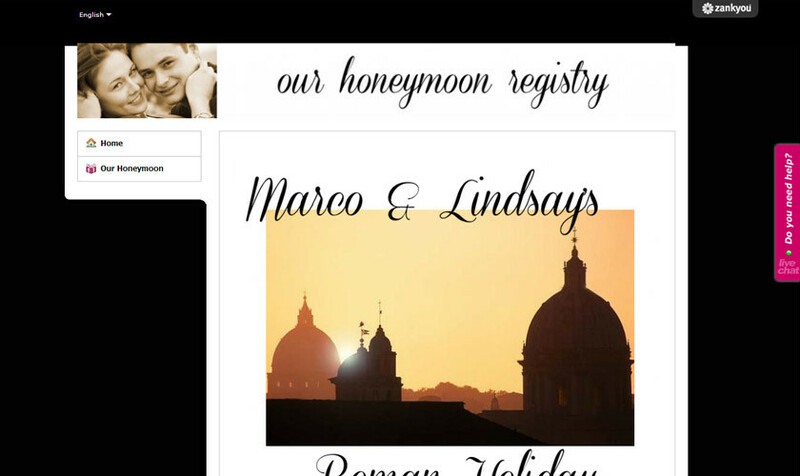 Founded in 2007, it has grown to become the world´s most popular online wedding gift list. Zankyou is available in 18 different countries and in 8 languages. In 2012, over 70,000 couples created their wedding website on Zankyou. Zankyou was created after having seen that there was no online cash wedding gift list and wedding webpage service that adapted to the needs of the new generation; couples get married later, that often are living together already and frequently have guests coming from abroad. 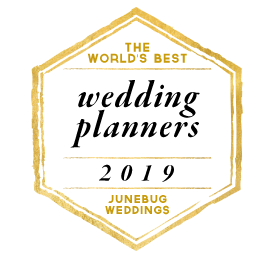 Couples can personalize their wedding website however they please, they can share with their guests the wedding agenda, maps, photos, videos, recommend hotels, and much more. Zankyou also counts with a free mobile app for iPhone and Android, where couples can access their wedding website and wedding list anywhere, at any time. With Zankyou, the couple can transfer all the funds contributed in their gift list to their personal bank account, giving the couple the freedom to use the money as they wish. Zankyou also counts with an excellent international customer service team that is there to help the couples from the beginning till the end. Zankyou offers all this with one of the lowest flat rates among the market! Zankyou charges a 2.85% of the total contribution made per guest, with .85 GBP transaction fee. 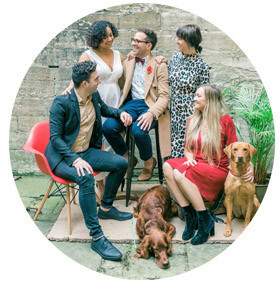 The couple has the choice of covering these fees or having their guest cover these fees; if the couple chooses the second option Zankyou´s services will be completely free for them. Create and add gifts directly to their list from the photos they take on their iPhone or Android. Check the gifts they have received and send thank you messages to their guests directly from their phone. 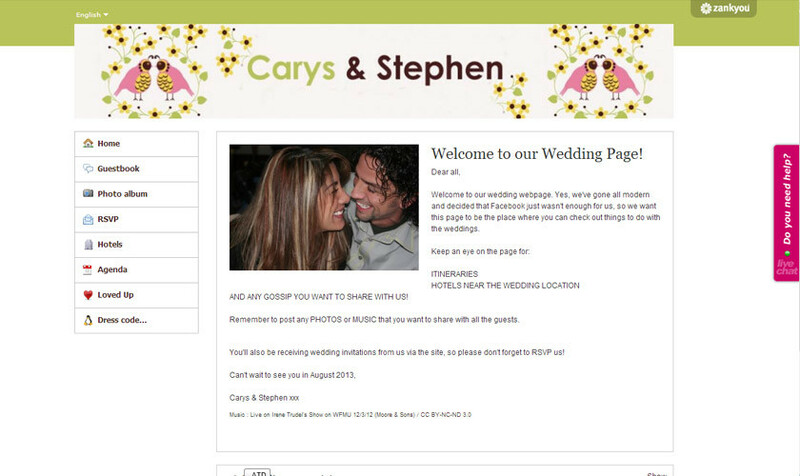 Guests can upload the wedding photos they take on their phones directly to the wedding website. With all of Zankyou´s privacy settings, the couple can decide who has access to the app and wedding website. 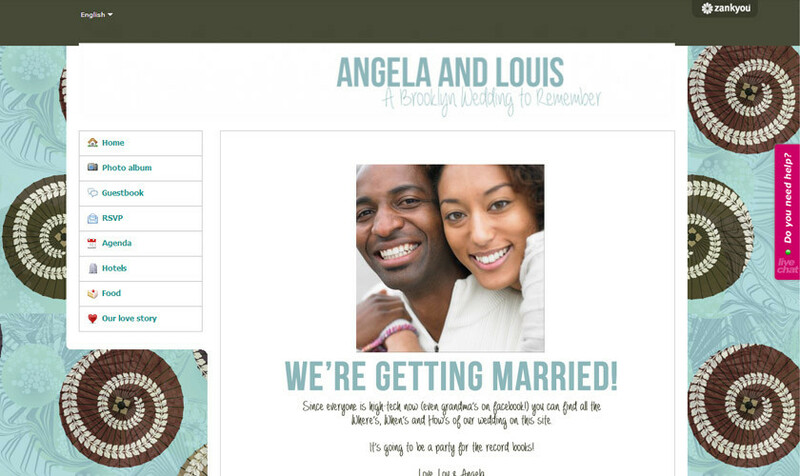 Share the wedding agenda with their guests. No need for them to look for the wedding invitation, they will have it all on their phone. Guests can find the wedding location stress free directly from their phones. No need to worry about them getting lost! 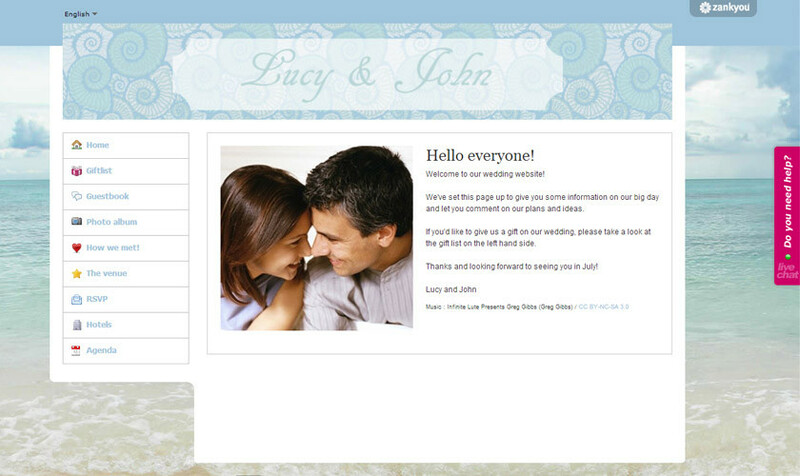 And here are some great wedding website formats and ideas that you can use for your design. 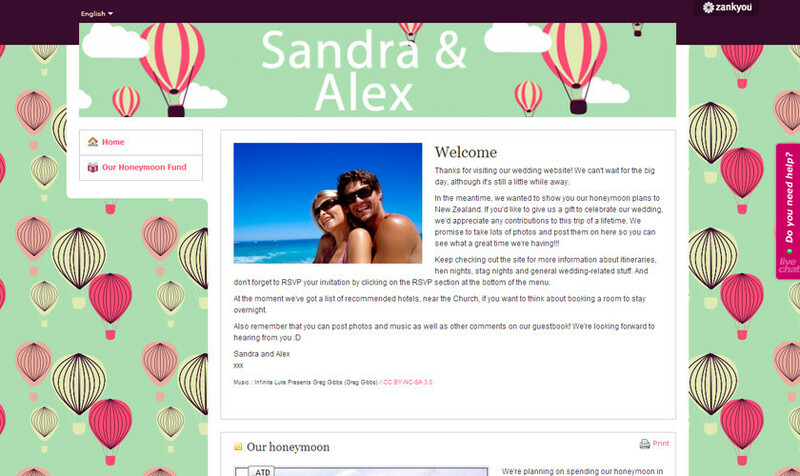 So I definitely agree that you should use their services, even if you’re not looking for a cash gift list you can use their format for your wedding website as not only will you get a loved service you can quite literally produce anything which is wonderful as you can produce it to go with your theme or design and that’s great because other formats or designers have a very limited choice. Anyway, that’s enough of me talking as I’m sure you can see for yourself.